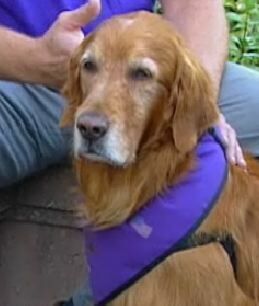 A service dog smelled a fire overnight and alerted his hearing-impaired owner of the danger. Roscoe jumped on the bed to wake him after a fire broke out in the Orlando duplex. The man then ran next door, awoke his neighbor and pulled him out of the burning building.